Delran Township, NJ is a moderately sized town located in Burlington County, NJ. Though the town is only a little over 7 square miles, Delran has a population of almost 17,000. With several stores, including Target, and U.S. Route 130 running through town, Delran Police stay busy arresting individuals for offenses like driving under the influence (DUI), shoplifting, disorderly conduct, and many other offenses. Regardless of the circumstances surrounding your charges, it is vital to have an experienced criminal defense lawyer representing you. If your charges can be downgraded or dismissed entirely, you need an attorney who knows how to identify and execute the best defense strategy. The criminal lawyers at our law firm have years of experience defending clients charged with criminal and motor vehicle violations in Delran and nearby areas. To find out how we can help you with your case, contact our local office at 609-832-3202 for a free consultation. One of our attorneys is available immediately to assist you. If you have been charged with a crime in Delran, NJ, where your case will be heard and how it will be handled depends on what type of offense you are charged with. Serious offenses like fourth, third, second, and first degree crimes are handled by the Burlington County Superior Court in Mount Holly, NJ. If you are charged with a traffic offense such as DWI, any disorderly persons offense, or a violation of a municipal ordinance, your case will be decided by a municipal court judge at Delran Municipal Court. If you are scheduled to appear at Delran Municipal Court, there are a few things you should know. Cases handled by the municipal court are not heard by a jury. This means that if you have a case at Delran Municipal Court, a judge will be deciding your case. Some people believe that municipal court cases are not a big deal, but depending on what offense you are charged with, a municipal court judge could sentence you to up to 6 months in jail and order you to pay significant fines. The Delran Municipal Court is located at 900 Chester Avenue in Delran, NJ 08075. Court office hours are Monday through Friday from 9:00 am to 5:00 pm and you can contact the court at (856) 461-3888. Court sessions are held at 8:30 am on the 1st and 3rd Wednesdays of every month. Judge Corey Ahart is the presiding judge at Delran Municipal Court and Colleen Perry is the court administrator. For more information, visit The Municipal Court of Delran Township. You can visit Delran Township’s website for more information about the township and resources like town events, department contact information, and municipal ordinances. 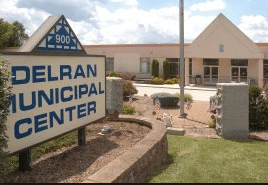 The Delran Police Department is located in the same building as the Delran Municipal Court at 900 Chester Avenue in Delran, NJ 08075. For non-emergencies, you can contact the police at (856) 461-4444. A DUI conviction can have significant consequences to your life. If a municipal court judge finds you guilty of DUI, you may face jail time, be ordered to pay fines and participate in drug or alcohol treatment, have your drivers’ license suspended, and many other potential penalties. What begins with dinner and a few glasses of wine, a night out with friends, or drinks while watching a game can quickly turn into an arrest and upheaval to your life, freedom, and finances. If you were charged with DUI in Delran Township, NJ, it is crucial that you hire an experienced DUI defense lawyer to represent you. The DWI defense attorneys at our firm have successfully handled countless DUI cases and are very knowledgeable about specific issues with evidence that can be used to have drunk driving charges dismissed. Contact us today at 609-832-3202 for a free consultation and we will work to create your most effective defense.